This blog post contains an interactive exchange between longtime legal industry marketing expert and attorney Stacey Burke and Nick Lindauer, the Vice President of Operations and Client Services for one of Houston’s most successful digital marketing agencies, Forthea. The development and implementation of a company-wide email signature appears to be simple, but is surprisingly complex. No matter how detailed the coding process, something always can (and will) go wrong. Email signatures help set the tone for your business and can reflect a great degree of professionalism – until they don’t. WHAT DO WE HAVE TO SAY ABOUT BRANDING? Stacey: I am a personal branding and law firm branding evangelist. I enjoy finding new and creative ways for lawyers to showcase all of their digital assets and everything that is wonderful about their firm and their individual employees. In one of the easiest and most effective methods of brand sharing, lawyers love having email signatures that have their firm logo, firm website, email address, social media channels, and more. Nick: Branding is one of the most over- and under-thought pieces of the business success puzzle. Over-thinking branding elements can lead to analysis paralysis and under-thinking can leave you with mismatched elements and a disorganized voice. Branding should be tackled one piece at a time – keeping in mind that some pieces will influence others. A lawyer’s email signature should never dictate how the firm’s logo looks or what appears on a business card – but it should be reflective of the profession and represent the firm’s personality. The image that you’ve painstakingly selected and crafted for your email signature is unreadable/not viewable. You included everything but the kitchen sink. 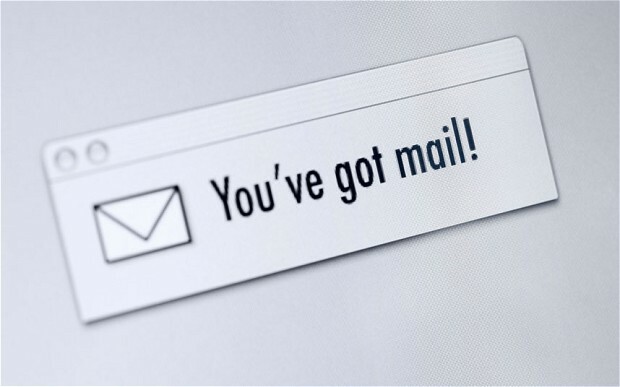 Most e-mail recipients will not care that much about you. Keep it simple. Keep it concise. Not designing with the small screen in mind – email clients on mobile phones are known to wreak havoc on a perfect-for-desktop client email signature. When the links that you’ve painstakingly selected for the signature don’t work, and you’ve sent hundreds of emails out before someone tells you. Don’t take a cheap or free shortcut – pasting in a screen capture of your logo looks as bad as you think it does. When your email gets forwarded/resent and all of a sudden your pretty little signature becomes annoying little email attachments. For the email signature to survive retransmission, the second sender’s email program must have received the original signature intact and then perfectly interpret it in the retransmission (reply or forward) process. Email signatures don’t drive business – focus on using them to help extend your business. Don’t end it on a weak note – make sure your email signoff matches your personality, not just your profession.